It was a pleasure to be a part of the seminar and offer my contribution through sharing my wisdom in relation to the objective. It was a pleasure to note happiness on the face of all nominated and specially those of award winners. I am sure such initiatives, which you have undertaken and successfully held for the 8th time, will go a long way to bring in betterment to the maritime trade in the region with co-operative and collaborative efforts. I have been part of such drives of Exim India in the past and will be happy to participate in future too. Event was very well conducted. It was a great pleasure to be a part of 8th Gujarat Junction 2017 organised by you. I myself and Dr Raval are thankful to you for inviting us at a very informative, interesting and useful function. Your arrangements and conduct of the entire programme was appreciated by one and all present there. I congratulate you for conducting a very successful meet. 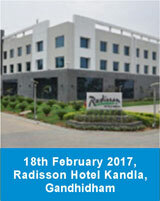 Mr. Sandeep Thomas, Assistant General Manager, PIL (India) Pvt. Ltd. 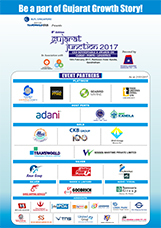 It was indeed a pleasure to be a part of Gujarat Junction 2017. A special thanks for fixing this event to be hosted in our territory Gandhidham all the time…we see the fraternity coming by us for another reason and we enjoy our comrades flocking here in Kutch. Mr. Abby Yang, Chief Owner Representative, Wan Hai Lines Ltd. Thank you for the arrangement of the function.